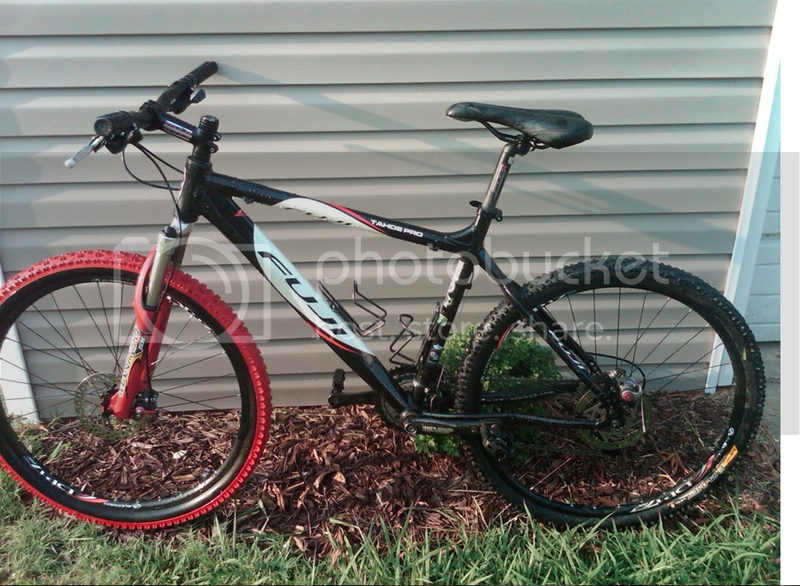 Thread: Fuji Tahoe Pro - is this a good deal? I'm new to all this and I'm looking to buy my first bike. Someone in my area is selling this for $200. I believe it's a 2006 and comes with Manitou SX forks. How much do you guys think this bike is worth? I'm gonna check it out tomorrow and I just wanted to get a general idea if this bike is any good or not. Thanks guys! I would jump all over that if that was near me. so i'm assuming it's a good deal haha. what would you guys value the bike at judging from the picture? decent deal, 2006 isn't too old. doesn't have a dart or suntour fork so thats good. look at the fork and compress it, see if it feels ok.
Good deal for the price, definitely cheaper than what I've seen in my area. you could do a lot worse for $200 that's for sure..